Stand ing on the shoulders of flute giants from worlds as diverse as Rampal & Galway in Classical Music; Richard Egues’ Cuban Charanga style; rocker Ian Anderson’s Jethro Tull; Herbie Mann and – most influential of all – Hubert Laws as pioneers of Jazz Flute, Latin Grammy Award winning Nestor Torres’ rhythmic and mellifluous flute sound remains apart in a class all by itself. 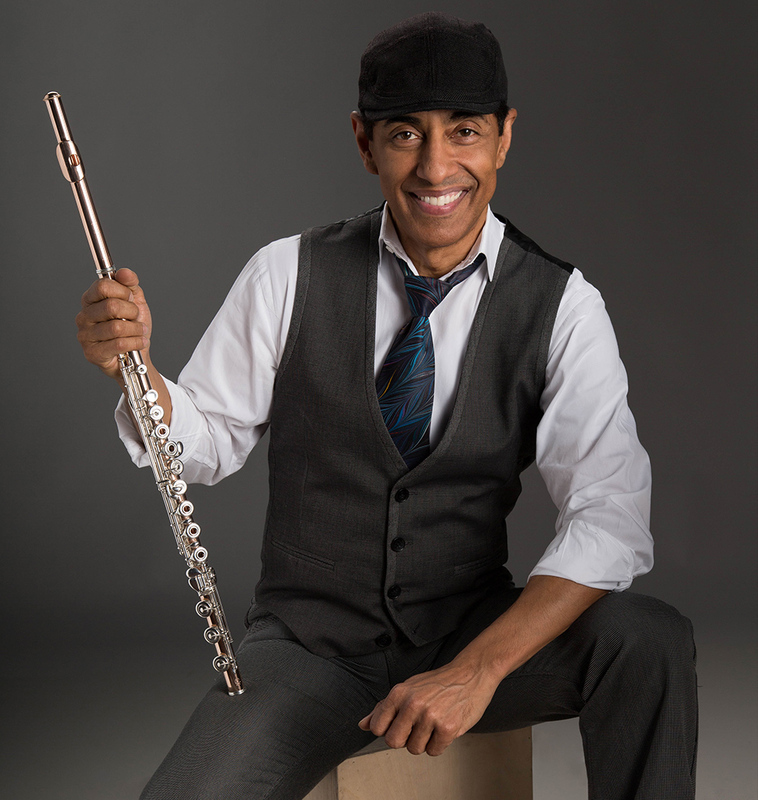 His 14 recordings as a soloist; 4 Latin Grammy nominations, one Grammy nomination and one Latin GrammyAward; collaborations with diverse artists such as Gloria Estefan, Kenny Loggins, Dave Mathews, Herbie Hancock, Tito Puente, Michael Camilo, Paquito D’ Rivera and Arturo Sandoval; as well as performances with the Cleveland, Singapore, and New World Symphony Orchestras among many others, are testament to the remarkable journey of an Artist who continues to grow and enrich the lives of those who experience his talents. Jazz and Pop sounds. Rich and engaging, complex and exuberant, profound yet accessible.